I went to Blossom Music Center again last weekend for the end of their Summer Festival. It was a family pops concert, featuring fun things such as “Let It Go!” from Frozen (everyone sang along) and Pat Sajak performing an orchestrated version of “Casey at the Bat.” Plus there were fireworks after. 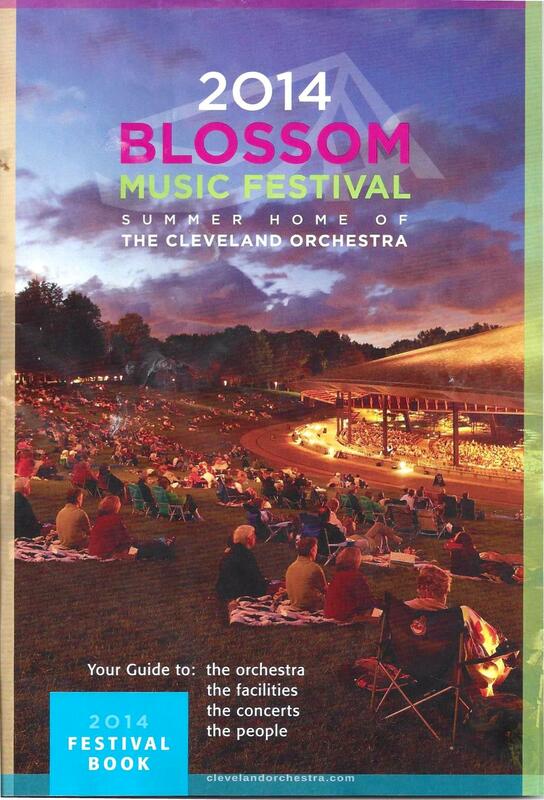 As I have mentioned before, Blossom is the summer home of the world-famous Cleveland Orchestra. It’s an incredible venue, and the performances are also incredible. So, I was a little tickled by their program, which is handed out to everyone at the entrance before every show. Sorry for the smears, etc…we were eating bbq during the performance. There are probably more! Honestly, these other ones are so subtle I probably wouldn’t have noticed them if I hadn’t seen the trio on the blanket duplicated right next to each other directly in the foreground. And the quality of the Photoshopping is fine; at least, I can’t tell which is the real group and which is the duplicate. Oh my! Hilarious. Woooow. 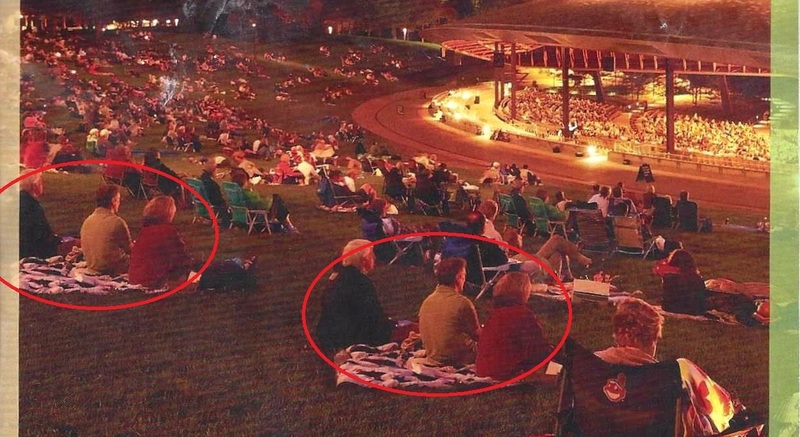 Guess not that many people show up for the concerts then? Haha! That’s the thing, when I went last weekend, you literally could not see the grass on the lawn, there were so many people. 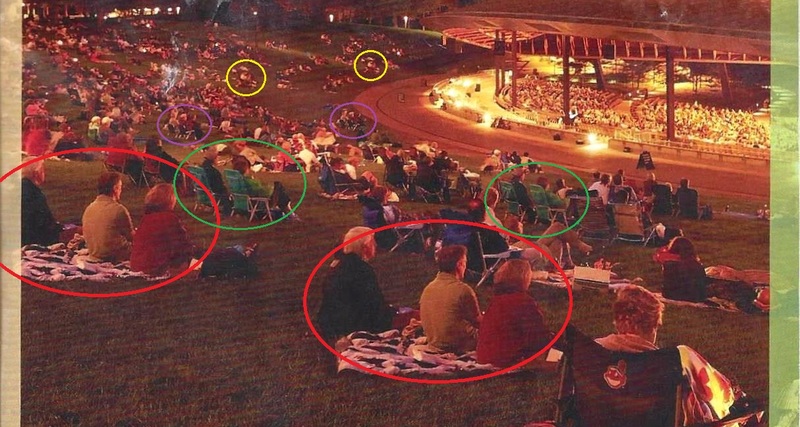 But apparently, there were not “enough” people at whatever concert this was…I probably wouldn’t have advised them to fix that with terrible Photoshopping…lol.